Music is one of the greatest forces in all of creation. Music ranks second only to words. There is only one creature that is able to utilize words and that is human beings. Human beings are also endowed with the ability to compose and repeat works that we call music. If you have lived for any length of time you have been exposed to a myriad of types of music. 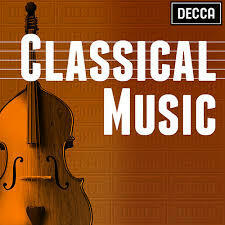 My preference is what is called Classical Music. I believe that the advantages that Classical Music brings to individuals and societies is well worth the investment of time and money that it costs the individual and societies. One of the primary advantages of teaching Classical Music to children as they are growing up is that they must learn discipline to perform it. 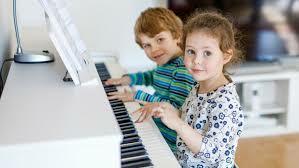 Some children are naturally gifted in the area of music performing. But most of us have to work at it regularly and in a disciplined manner to achieve any level of proficiency. Through that endeavor we learn discipline which can be translated into many areas of our growth and development. 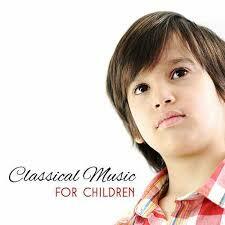 Left to their own leanings most children will not necessarily choose Classical Music as the music of choice. The core reason for that is the very structure of the music itself. Though Classical Music is inspiring and beautiful it is also structured. The natural inclinations of all human beings is not toward discipline and structure. Learning Classical Music, whether listening to it or learning to perform it, requires a concerted effort of discipline. As one learns Classical Music and finds the structure on which it is built, it becomes a normal outgrowth that one should apply the same principals to his or her own life. It is rare to find a person who has exercised learning of Classical Music who is not disciplined in many areas of their life. Though other styles of music have their place in a society seldom do they bring the benefit of discipline and structure that Classical Music does. If you have ever listened to Sibelius’ symphony #7 or to Beethoven’s 5th symphony you can not come away without a feeling of awe and wonder, even if you have never been regularly exposed to such great works of musical artistry. Since the Renaissance the works of Classical musicians have inspired and provided motivation for the great leaders of Western Civilization. All the notable leaders of the past three centuries have been influenced by the great Classical Music works of the greatest composers. The most inspiring and lasting sacred music of the past 400 hundred years have been in the Classical genre. All the great composers chose to use the sacred texts as inspiration for some of their greatest works. Just to name a few of the giants who wrote sacred compositions, there is Palestrina, Bach, Haydn, Mozart, Beethoven, Schubert, Schuman, Mendelsohn, Brahms, Verdi; and the list goes on and on. Not only sacred writings, but works of the great poets, which on their own are inspiring, when wafted on the wings of music reach new heights of inspiration. There is no other avenue that reaches the heights of inspiration that the Classical Music genre achieves. No other genre of music can achieve the measure of motivation that Classical Music can engender. 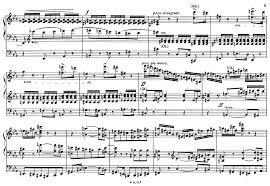 Take for instance the work of Jean Sibelius entitled “Finlandia”, named after his home country, Finland. It was such a moving and motivational composition that when the Soviet Union occupied Finlandia it was against the law to play the work or perform it in in way. It inspired such patriotism for their home country that the Russians were afraid the Fins would rise up and force them out. In the end, the inspiration worked, and the Russians were driven out. “Finlandia” was credited as one of the main motivational tools. Many Classical Music works have been tools by which countries and nations have motivated their citizens to achieve new levels of service and accomplishments which without the music would probably never have been achieved. Such works as Tchaikovsky’s 1812 Overture have, just by their inspirational power, encouraged and motivated achievements which in the natural seemed impossible. No other genre of music has produced such levels of motivation as the Classical Music genre has. Though Classical Music can be listened to just for the enjoyment and inspiration and relaxation, it can also be an intellectual experience. 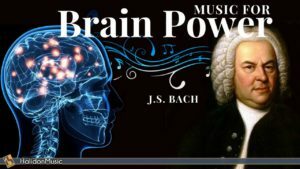 As one listens to Classical Music, he or she will find that their brain actually becomes actively involved in the process. This is contrasted to popular types of music where the brain is more or less manipulated instead of being intellectually involved. In Classical Music the brain, whether consciously or subconsciously, will begin to analyse and seek to understand the structure that is being presented by the musical rendition. It actually becomes a mental exercise in which the brain is strengthened. Just as active physical exercises strengthens the muscles that are exercised, so listening to Classical Music strengthens the synapses of the brain. This is not only profitable for the knowledge gained of the music, but also for the gaining of knowledge in many other fields of study. Almost all the great minds of the past centuries have been regular listeners to Classical Music. Studies which have been carried on in the past half century at major universities have verified that listening to Classical Music on a regular basis raises one’s IQ. 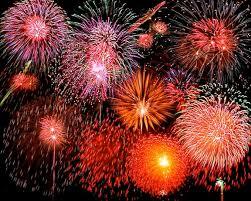 Every experiment that has been done in this area has borne the same results. An example of one was done at CalTec in which controlled groups of students were made to listen to different genre of music. One group listened to 20 minutes of Rock and Roll and another group listened to 20 minutes of Mozart compositions. The Mozart group was found to have scored 7% rise in their IQ scores while the Rock and Roll group scored 7% decrease in their IQ score. They then switched the groups to see what might happen. The Mozart group listened to the Rock and Roll music and the Rock and Roll group listened to the Mozart music. The results: those who listened to Mozart amazingly were found to have an increase of 7% average and those who listened to the Rock and Roll had a decrease of 7% average. It may be noted that this only lasted temporarily. But, further studies have shown that by regular listening and training in the Classical Music genre one can permanently raise his or her IQ level. One might think that this would be a good reason to incorporate Classical Music appreciation and training into a regular school curriculum. If Classical Music produces these effects alone, it would seem that those among us who are the teachers and leaders in the political arena would gladly encourage the use and insertion of it into every facet of our lives. But such is not the case. Rather we hear senseless and sometimes debased and vulgar music being blared over the airwaves and in the background music blared in every Walmart and festival plaza celebration. Why is that? Much of the reason for the use of music that degenerates our populace is because of the spirit that motivates not only political leaders but our commercial establishment heads. Not that every politician and every CEO of a corporation is demonic or self centered, but unfortunately the driving force of most of them is the love of money. In the Bible, Paul the apostle penned that “the love of money is a root of all evil”. It is plain that money is not evil, but the love of money is evil. When evil is introduced into the equation, the father of all evil will rule the day. The father of evil, satan, does not wish to allow anything that will promote excellence in what the Creator deemed His highest creation, human beings. So, it is only natural that when a person or a business or a social group or even a genre is given over to that love that they, or it, will serve the father of that particular thing. The Bible speaks of the Creator as being One of excellence. “O Lord, our Lord, how excellent is Your Name in all the earth.” Things of excellence will draw people toward their Creator. Things that are debased and crude will cause the one exhibiting it to become the same. If you are a parent and truly desire the best for your children and for yourself, then I encourage you to begin, right now, to introduce some great Classical Music into you life style. It may be just getting a couple of CDs of some Beethoven or Mozart symphonies. Maybe some piano sonatas of Vivaldi or some Bach Preludes and Fugues. It may seem odd at first because we never hear these great works in public, but as you continue to listen and allow them to grow on you, you will find yourself thinking greater thoughts and aspiring to higher goals in all that you do. In addition to all this you will become an inspiration and encourager to all that you meet and know. You will become less “self” centered and more “others” centered. What a wonderful society we would become if we adopted the use Classical Music rather than empty and non fulfilling pop music which only benefits the producers but degrades the listeners. I choose Classical Music. Will you join me? For more reading on this subject you can click HERE, HERE, and HERE.